This week’s practice schedule is below. Please note the new time and location for Monday’s practice — the Running Center’s series of speakers is now over, so our Monday locations will move around. Roster Is Full — Time To Order Uniforms! We’re back! Remember to get your registration forms and club dues in by Saturday! Coach Don will be in North Carolina for running camp next week, but there will still be practice. Remember that there will be at least one parent at each practice, so you won’t be alone if you show up. We’ve had great attendance at practices so far, so let’s keep up the momentum! 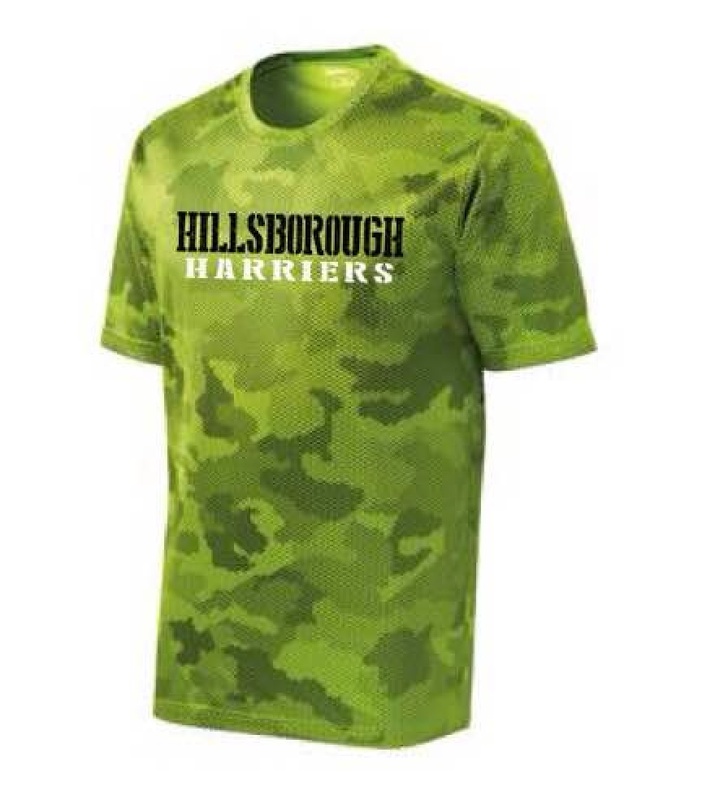 MONDAY: 6:30 PM at The Running Center. Coach Strack, Eric, Mark Pleune (Casey and Ellie’s dad) and others will be there — just do the usual loop, plus strides on the golf course. WEDNESDAY: 7:00 PM at the Northdale Trail. Eric will be there. The kids should run longer than they did on Monday and easy (4 to 6 miles). THURSDAY: 6:30 PM at the Northdale Trail. Coach Strack, the Mayers (Jensen and Lindie) and others will be there. If Coach Ray can make it, he will take any interested runners on a speed workout. The other kids should run 3 to 4 miles easy. SATURDAY: 7:30 AM at the Wilderness Park/Morris Bridge Trail. Note that some of you have never run here before — please read the directions on the website carefully, as there are many parks along Morris Bridge Road. Please listen closely to Coach Strack, Mark and the other parents, because this is a very wooded trail, and the kids will need to stick together and not get lost! Also, bring $2 for parking. Hope everyone had a great 4th of July! Please note the dates and times of this week’s schedule — they’re a little different. Early Fireworks on the 4th of July! 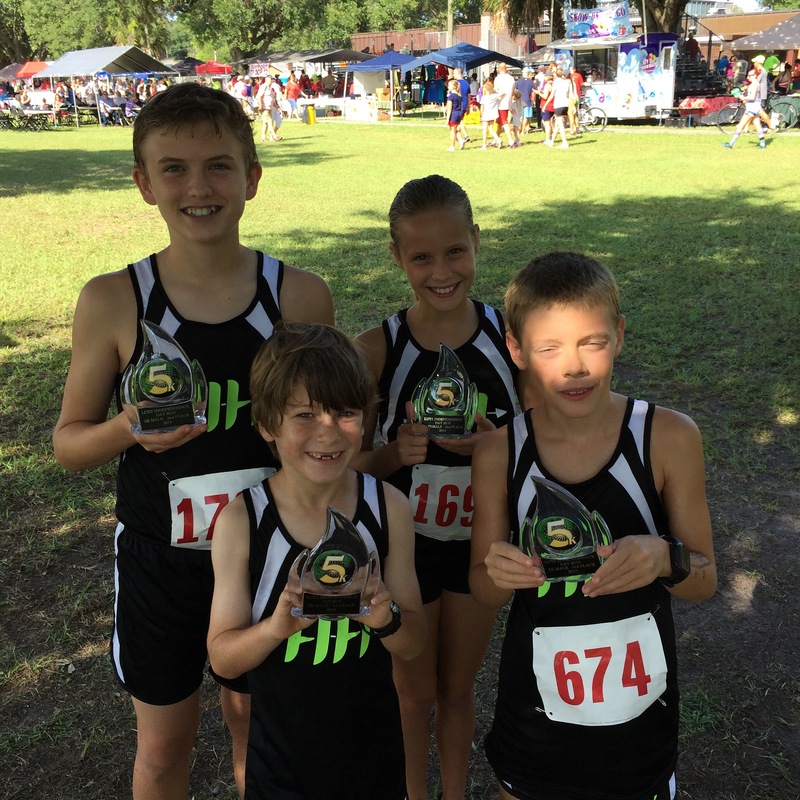 4 was the magic number on Saturday, as 14 Harriers ran the 4th of July 5K and captured 4 age group awards. Even with the humidity and high temperatures, we managed to set some PRs and course records — and everyone who also ran in 2014 made huge improvements over last year’s times. Great job by everyone! Race results can be found by clicking HERE. 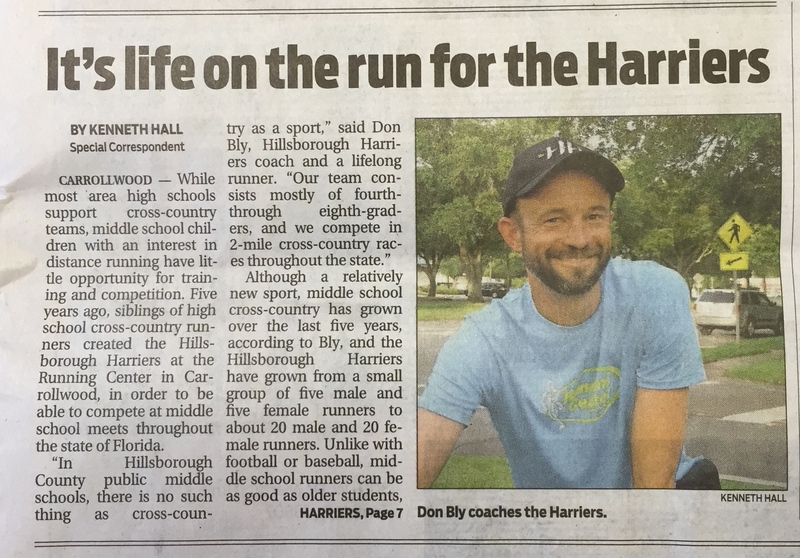 Thanks to the Tampa Tribune for the nice article! We’ve already received a couple of calls from interested new runners, so it was nice free publicity. See you at the 4th of July 5K!